Features: Manicure table with a simple design. Consists of toughened glass top and white 2 PAC finish. It can be assembled to suit either left or right hand technicians. Most imposing Manicure table. Size: 120 x 45 x 110 cm (L*W*H). 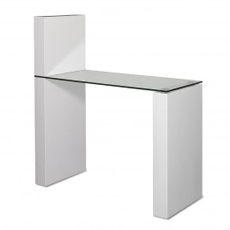 Features: A beautiful Manicure table in 2 PAC with toughened glass top and storage Cabinet. This Manicure table can be set up for either left or right hand drawers. Manicure table top sits on stainless steel legs and Cabinet with 2 PAC finish in white.Best looking Manicure table. Size: 120 x 45 x 77 cm (L*W*H). 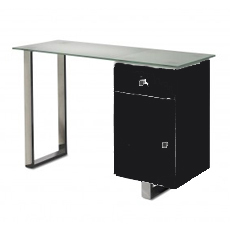 Features: Manicure table in 2 PAC with toughened glass top and storage compartment. Manicure table can be set up for either left or right hand Cabinet. 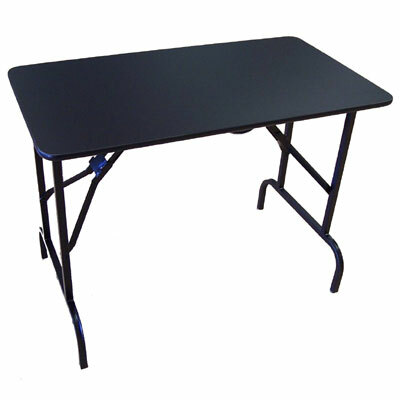 Manicure table top sits on stainless steel frame and finished in black 2 PAC. 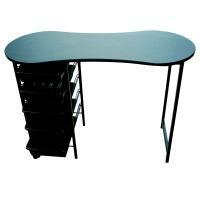 Features: Drawers can be fitted to be on the left or right hand side of the Manicure table. 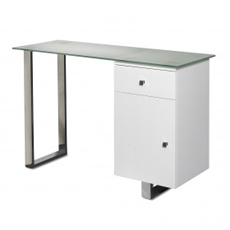 Features: White Manicure table features 2 lockable compartments, each with 3 drawers. 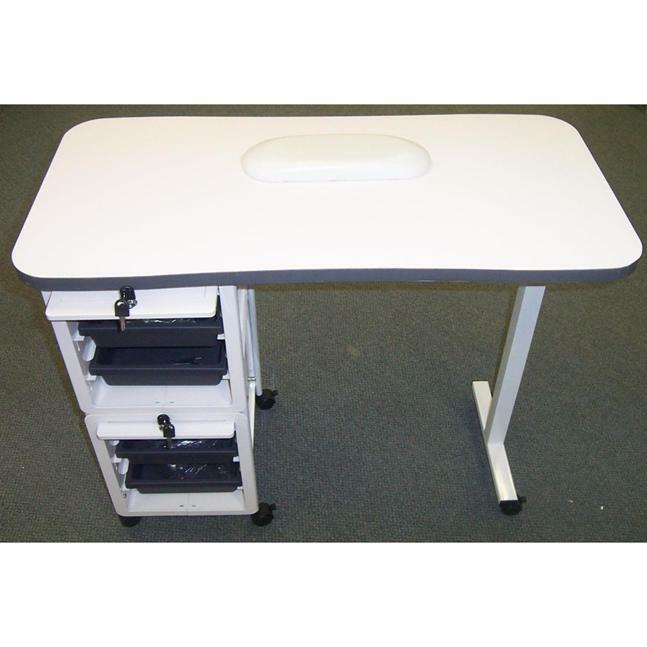 This Manicure table also comes with lockable wheels and hand rest. 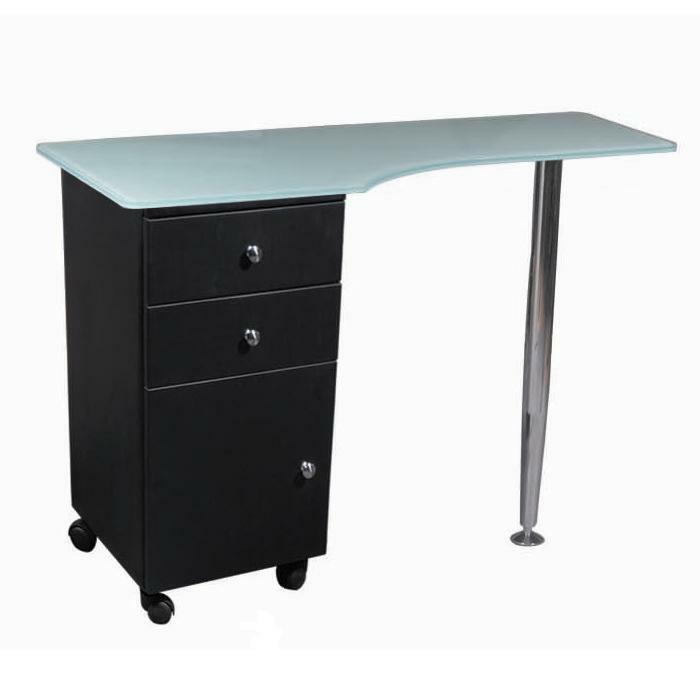 Features: Manicure table consists of glass top and timber base. The Cabinet can be either in black or white. 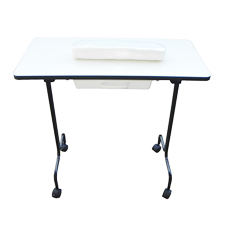 Features: Manicure table folds up for easy transportation. This Manicure table also has a small drawer, 2 lockable wheels and hand rest. Most compact Manicure table. Features: Manicure table model folds up for easy transport. 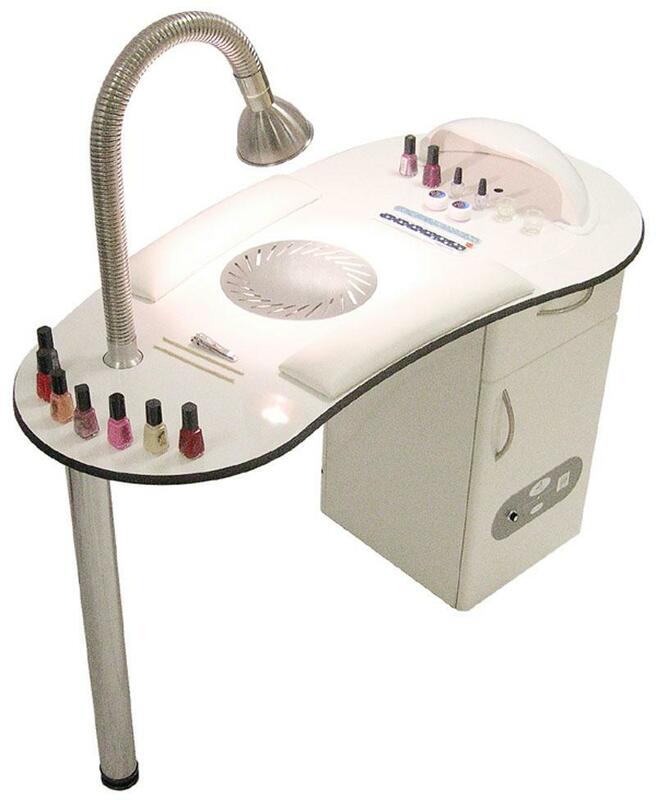 For details on these Manicure Tables and other Nail associated products call (02) 6162 1950 or email. -> large range of Nail Equipment including Nail Drills, Polished, Displays and racks, Nail Dryers, UV Lamps and Dust removers . -> Nail Salon Supplies, acrylic powders, acrylic liquids, Polishes, lacquers, topcoats, cuticle oils, sculpting gels, sculpting Brushes, kits, tips, files and buffers and glues. Major Nail brands cover CND, Ezflow, OPI, NSI, Joss, Perfect Nails, PHD, illume. -> Freight charges are additional and are dependant on delivery post code.